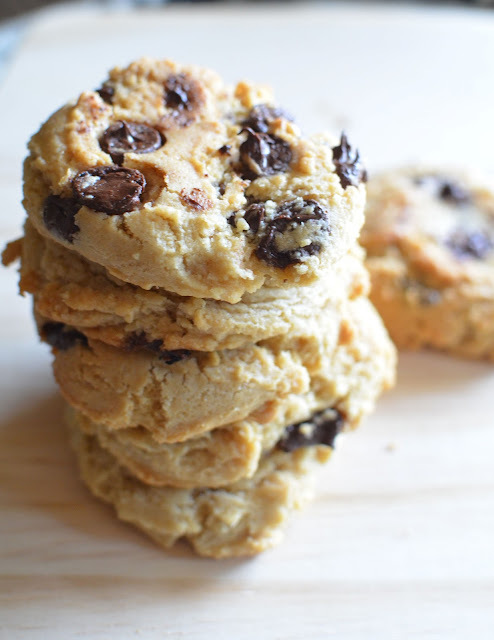 Today I'm going to share with you my favorite chocolate chip cookie recipe that also happens to be vegan. Now, this in no way makes these healthy... they are chocolate chip cookies after all, but I feel a little better about eating these over other cookies. 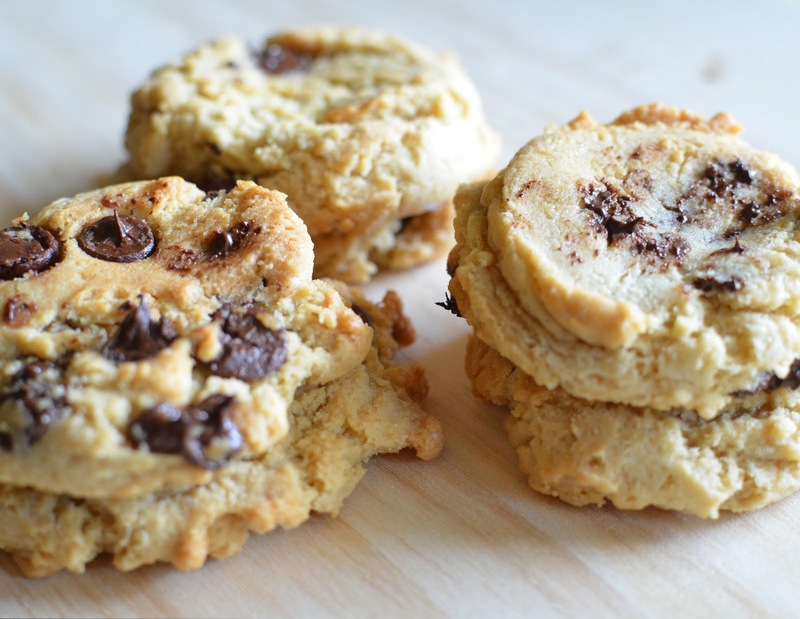 This recipe was given to us by one of Charlie's coworkers, and I've never made a regular chocolate chip cookie again! I usually make a batch of these and only cook about 6 of them, and then put the rest in the freezer. They taste better after they've sat for at least 24 hours, and it also makes it easy to cook just two or three at a time. I bake from frozen, and add a minute or two to the baking time. In a large bowl cream the butter, sugars, and vanilla. Add the egg replacer into this mixture and thoroughly combine. In a separate bowl combine the flour, baking soda, and salt. Gradually beat the flour mixture into the wet mixture until it begins to form a dough. Stir in chocolate chips. Bake for 8-10 minutes of until golden brown. Let sit for 2 minutes before removing from cookie sheet.